The foundation for global-scale decentralized applications. Shardus is building distributed ledger software to remedy the problems of traditional blockchains -- scalability, decentralization and efficiency. The technology being developed will use compute and state sharding to accommodate billions of daily active users, allowing for global-scale decentralized applications. The first application built with this technology will be a payment network and coin called Liberdus. The future of blockchain and distributed ledger technology holds enormous promise for radically transforming many of the current trust-based systems and services, as well as impacting just about every industry in the world. However, the delivery of this promise hinges upon the creation of infrastructure software that implements fast, efficient, trustless, secure and highly scalable peer-to-peer networks. The state-of-the-art is currently experimenting with different models of achieving greater scalability and efficient consensus in such networks. The Shardus project will develop novel distributed ledger technology which incorporates sharding and auto-scaling to provide high throughput, low latency, and immediate finality while maintaining the highest level of decentralization and security possible. The availability of such technology will be useful not only to private enterprises, but also to public ledgers, thus enabling global-scale, decentralized applications able to accommodate billions of daily active users. The first application of this technology will be a peer-to-peer payment network called Liberdus.which inherits the distributed ledger technology and adds self-governance and a maintenance fund. Simulation and study of consensus algorithms started. Design of consensus algorithm and distributed ledger started. Specifications for the consensus algorithm completed. Specifications for the distributed ledger completed. Small-scale testing of the consensus algorithm was carried out. Legal opinion on the project funding model was obtained. The website and whitepaper were developed. The project was launched as Unblocked Ledger Coin. No ICO needed. The core team has been expanded with more developers. The Project was rebranded from Unblocked Ledger Coin to Shardus (technology) and Liberdus (payment network and coin built on Shardus). The Shardus Consensus Algorithm for a single shard was developed. Large-scale testing of the Shardus Consensus Algorithm was carried out on global network. The Shardus mobile app and web wallet were developed. 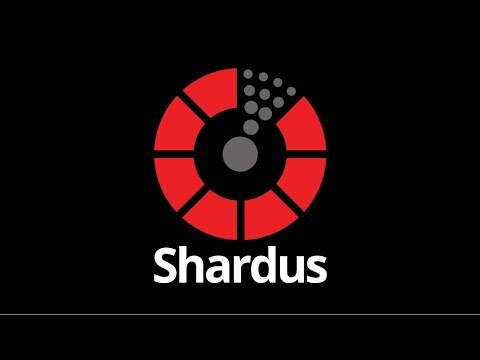 Videos, blog posts and other content explaining the Shardus project were developed. Software was developed to manage a social media bounty program. The team gave a presentation of the project and demonstration of current milestone. The first version of the Shardus server software will be developed using only one shard and simple transactions. The Shardus mobile and web wallet will be updated to work with the Enterprise server. Awareness of the project is increased through a social media bounty program. The team will give a presentation of the project and demonstration of current milestone. The Shardus software will be developed to allow parallel processing of transactions and storage of data across multiple shards. The Shardus software will be developed to allow complex transaction across multiple shards. The Liberdus payment network application will be developed by forking the Shardus software and modifying the application layer. The public Liberdus test network will be released for users to download the binaries and join the network. The Liberdus main network will be released for users to download the binaries and join the network.